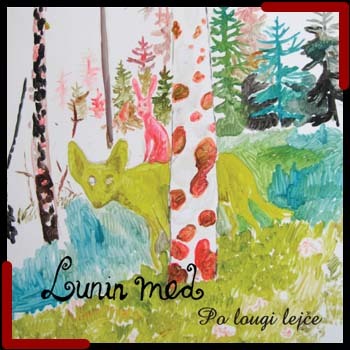 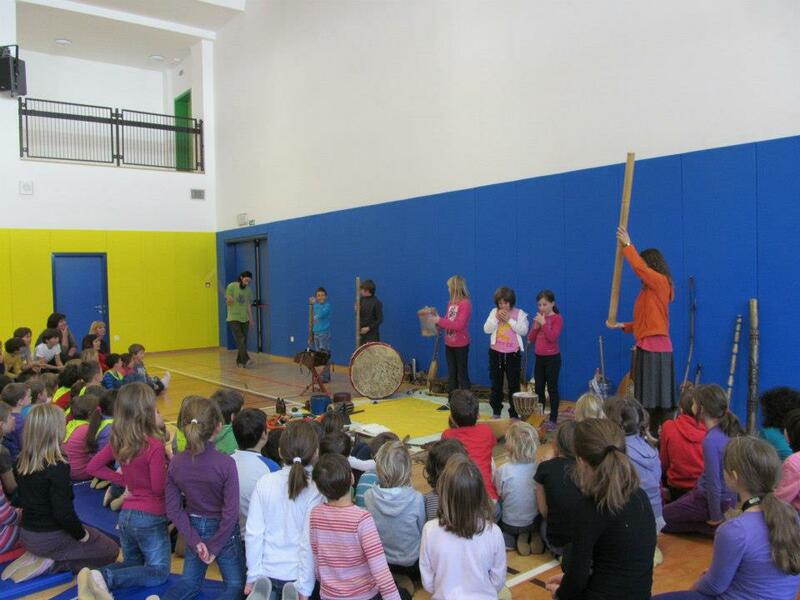 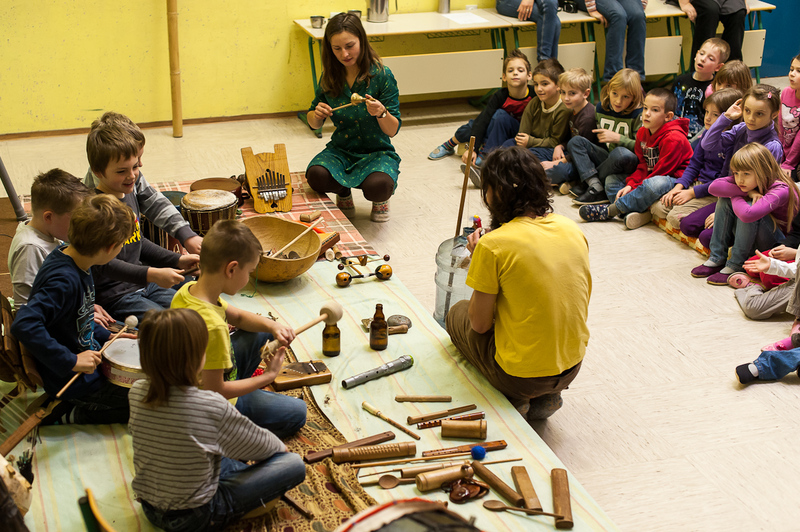 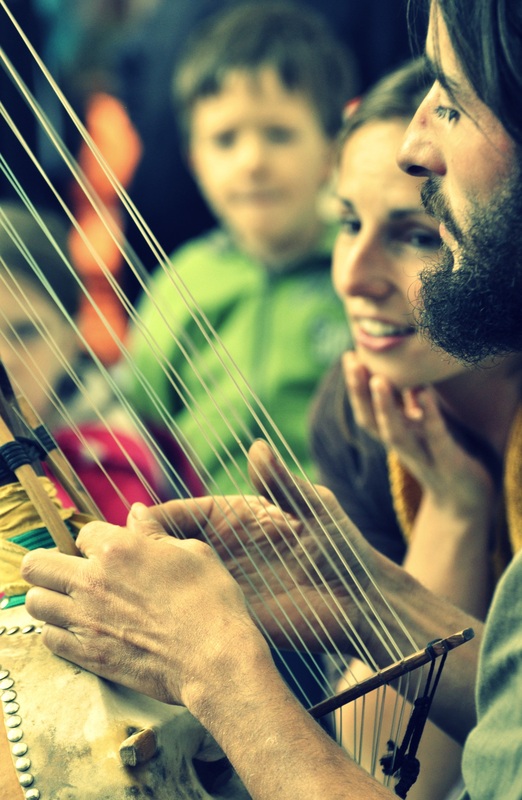 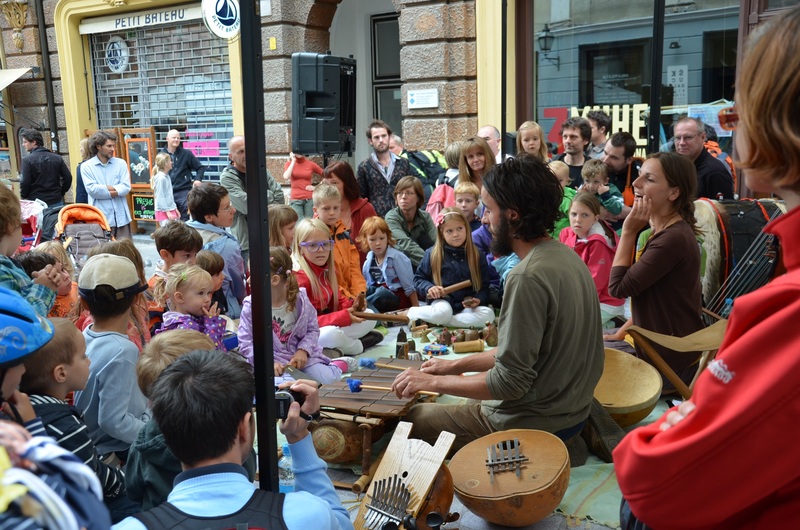 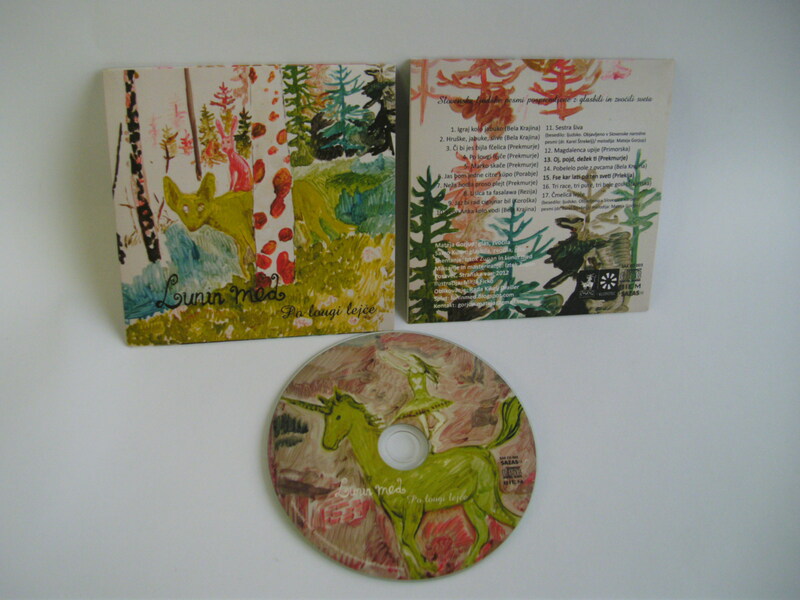 Slovene folk songs accompanied by sound-producing objects and instruments from all over the world. 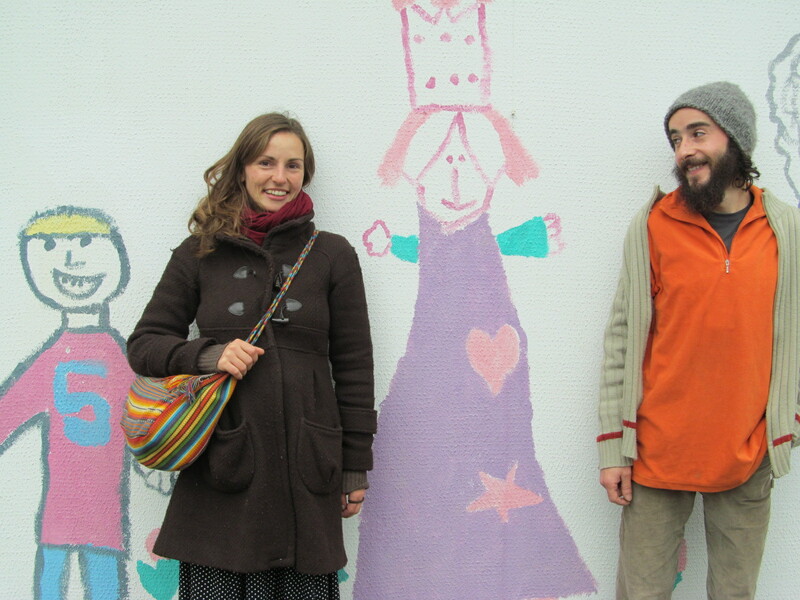 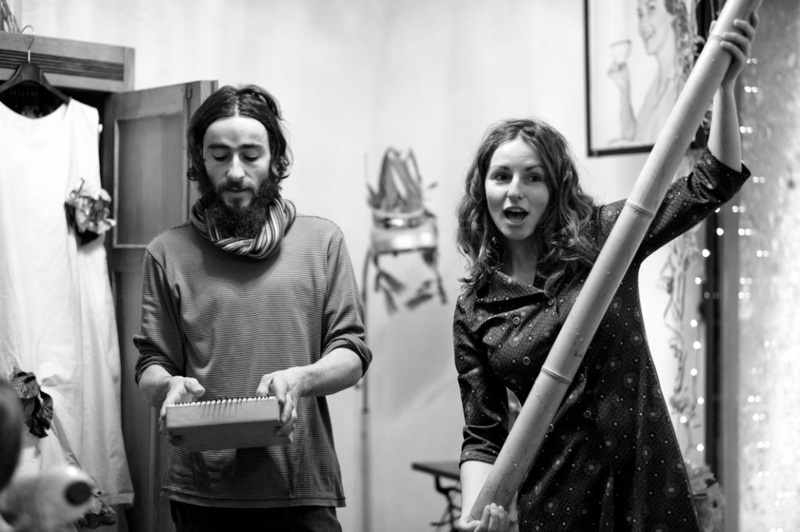 On a musical trip, Mateja and Samo create and present a magical world of folk songs of our grandmothers and grandfathers. 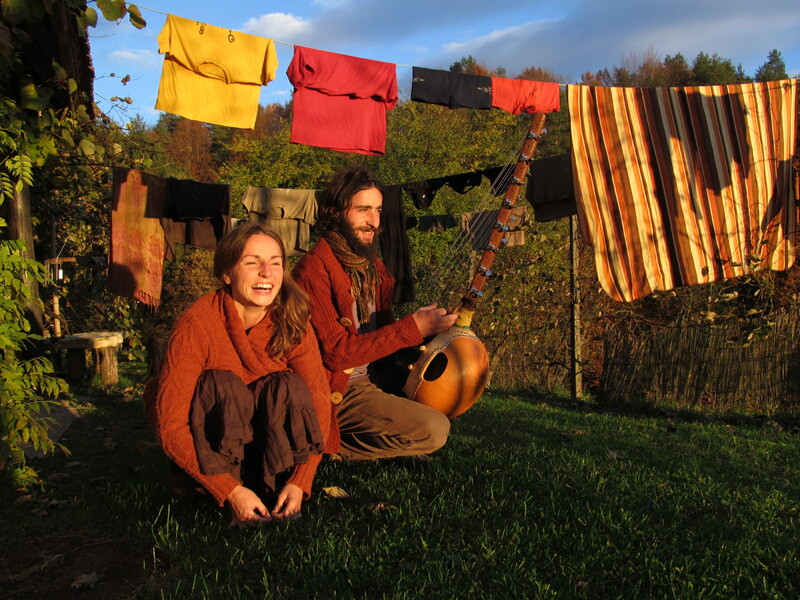 They sing folk songs from our country accompanied by instruments from various places. 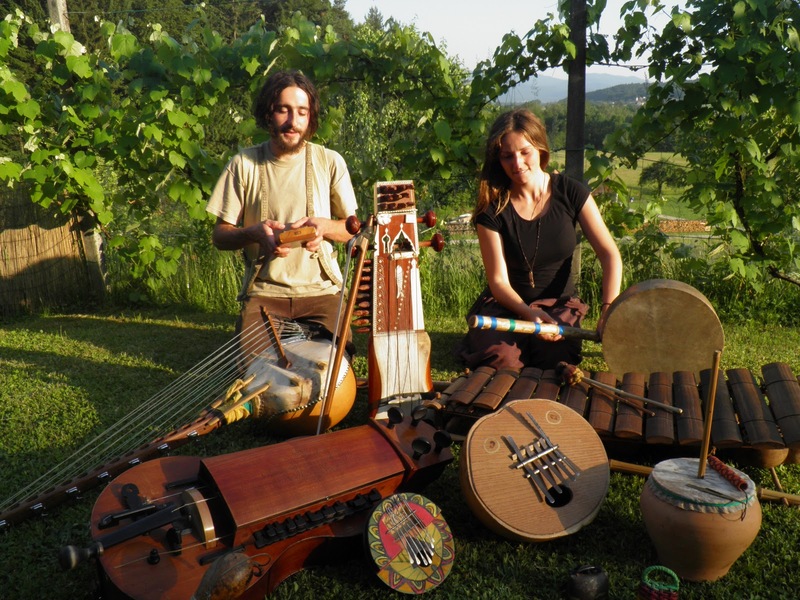 They play instruments from all over the world: from the African (kalimba, gongoma, n’goni, balafon, bendir, calabash – pumpkins on water), through the Australian didgeridoo and Indian instruments (sarangi, tampura, khamak, etc.) 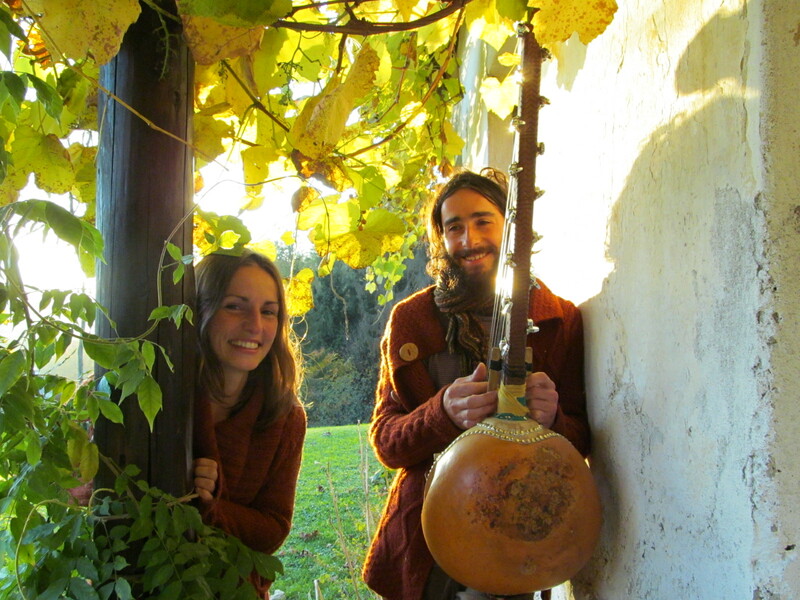 to Slav (koncovka, tamboura and the medieval instrument hurdy gurdy) as well as Slovene (earthenware bass, ocarina, Jew’s harp). 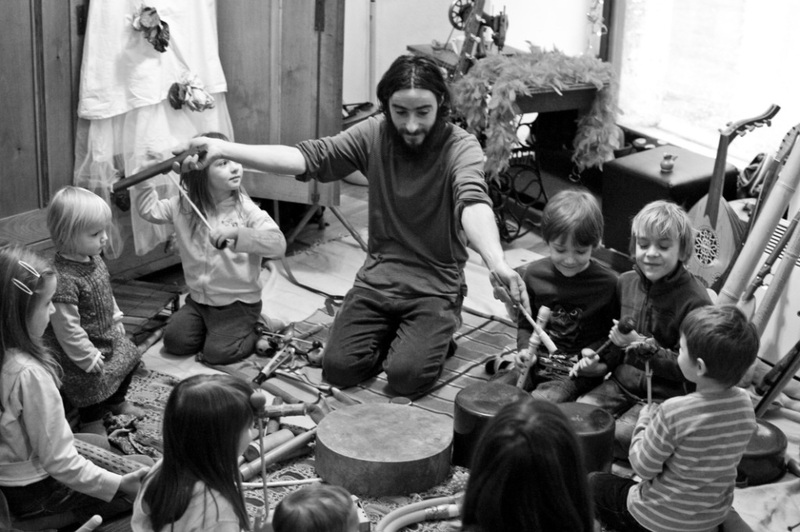 They also use various sound-producing objects (bells, clapper, small cymbals, rattles, simple whistles, homemade kazoos and ghost catchers, a lithophone from marble plates, etc.) 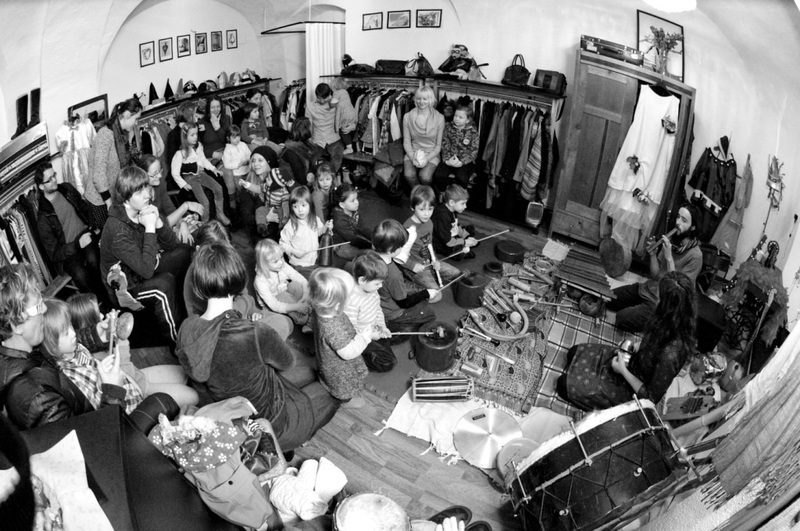 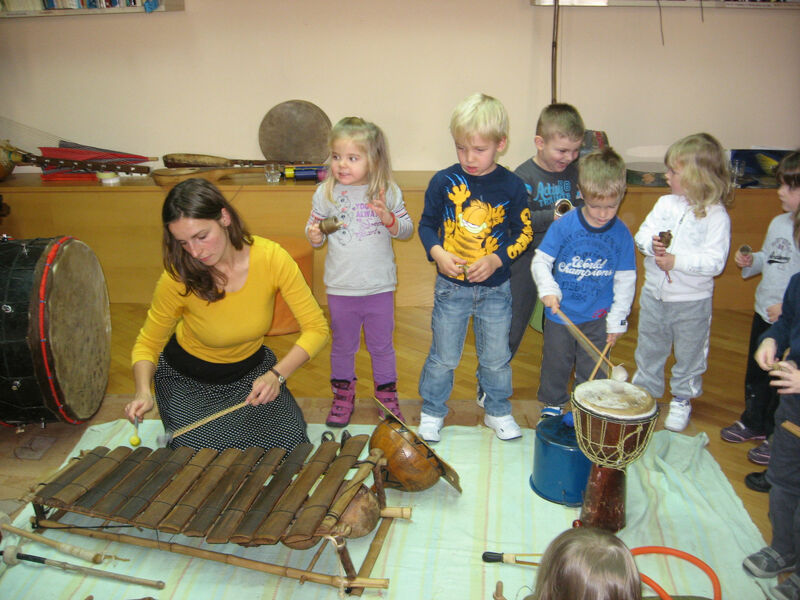 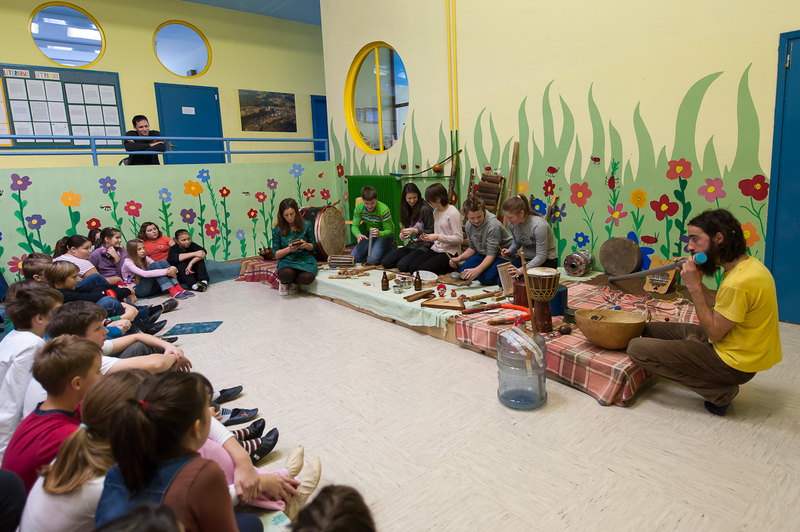 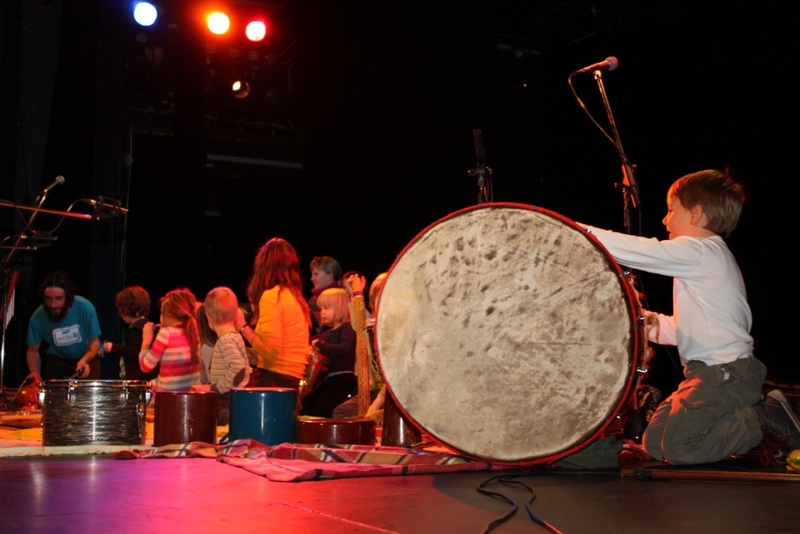 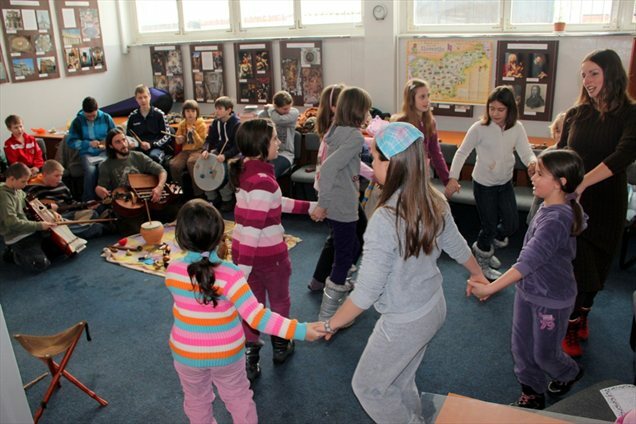 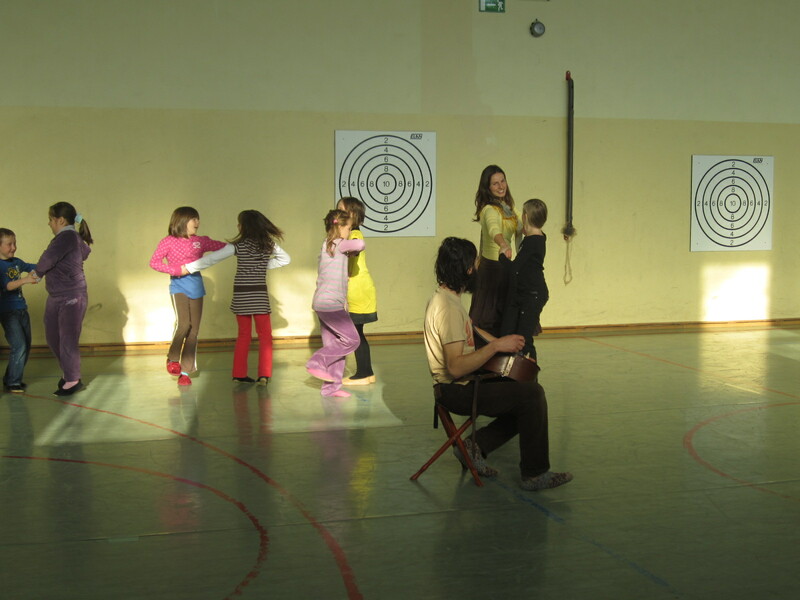 that directly include children in the process of creating music. 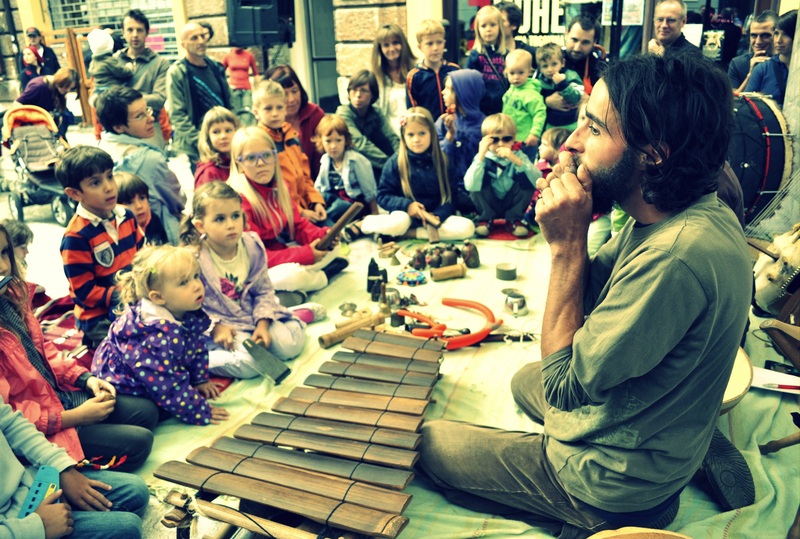 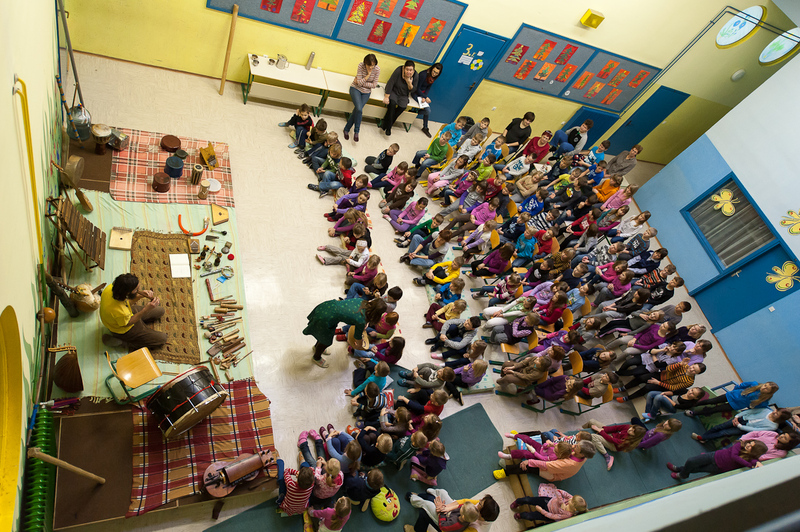 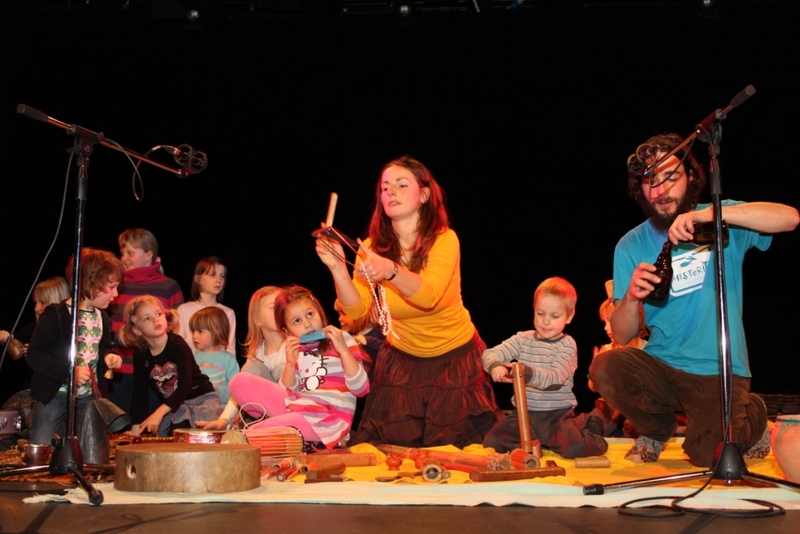 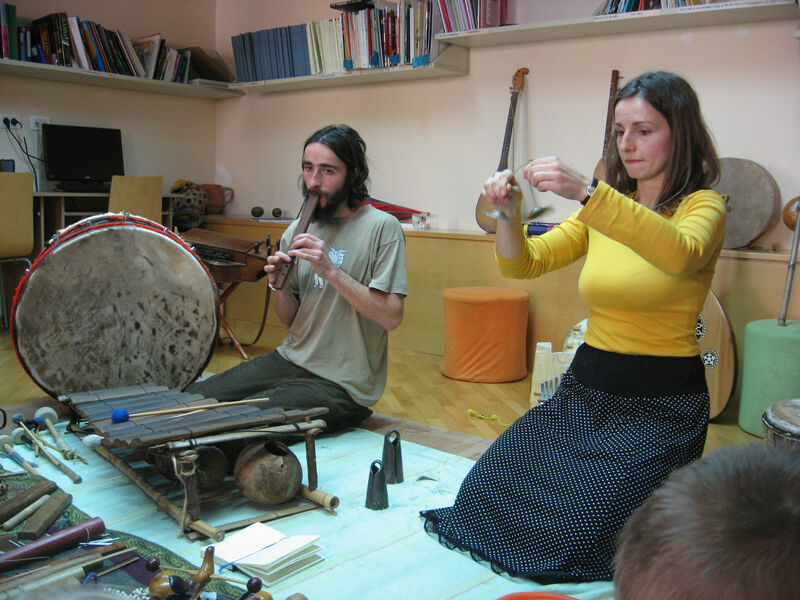 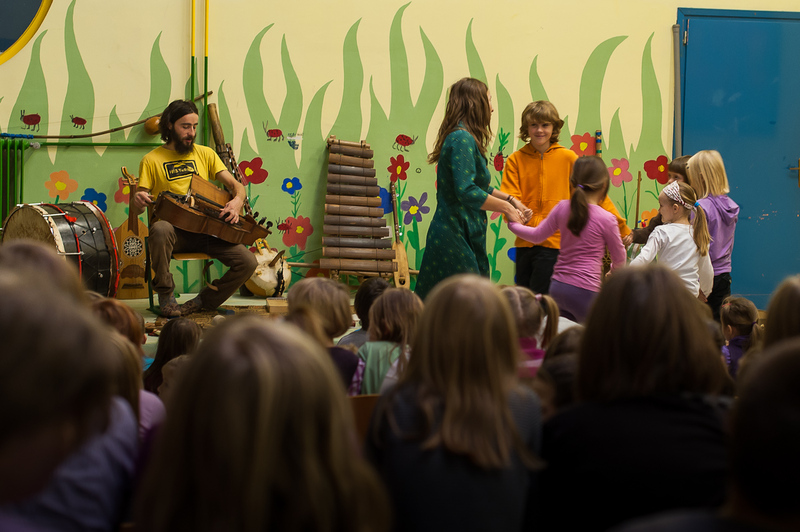 Mateja Gorjup learned to sing these songs through oral tradition, listening to archive records and studying ethnology and cultural anthropology, whereas Samo Kutin mainly collected the instruments when travelling around the world and then learned to play them by himself.